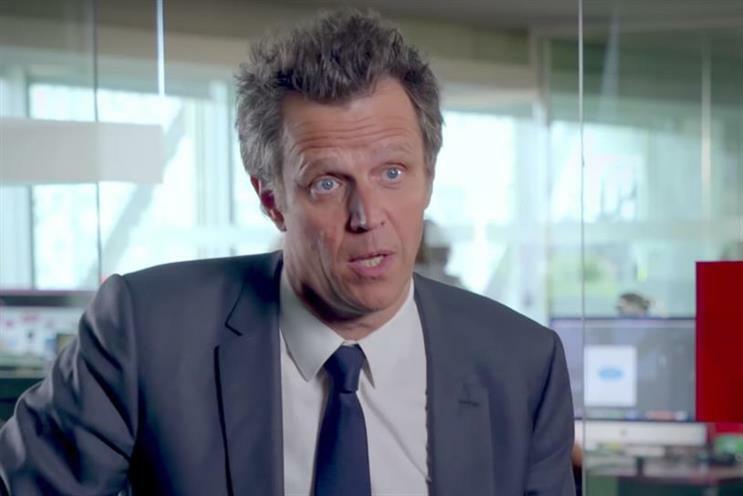 Publicis Groupe's biggest challenge is "cultural," Arthur Sadoun warned in a video address to the company on his first day as chief executive. Sadoun, who takes over the global chairman and chief executive roles from Maurice Lévy today, outlined three key areas he believes will set Publicis apart from the competition—transformation, building a client-centric organization, and changing the company’s culture. These objectives are meant to build on the foundations Lévy had set to help Publicis Groupe "bring back the kind of growth we deserve, to adapt our core structure to this new economy, and to make our company future-proof." "Our biggest challenge is cultural and it’s time for us to break all habits, to bond as a team at every level of our company and build our future together," Sadoun said in a video posted on YouTube this morning. However, Sadoun insisted the company’s pursuit of breaking down silos and becoming more integrated would not mean unpicking agency brands. Sadoun had been the obvious choice to succeed Lévy for months before his appointment was announced in January. Beginning last year, he spearheaded the reorganization of Publicis Groupe into discrete hubs and led the implementation of the "Power of One" strategy, which offers clients access to resources from across the holding company. The four solutions hubs are Publicis Communications, Publicis Media, Publicis.Sapient and Publicis Health. Sadoun insisted that "good progress" had been made to build a unique model but admitted the process had been "tough." "It’s not something that will be easy. We have to make sure that at the same time that we are not breaking the culture of our individual brands that are so precious to us." To help accelerate the breaking of silos, Sadoun explained how Publicis would appoint more than 100 group client leaders who would be empowered to "employ the right resources at the right time, no matter where they are, with no P&L issue." Publicis is also creating leadership teams in its top 20 countries. They will be tasked with ensuring greater collaboration is taking place at a local level, delivering growth, being involved in new-business pitches and reviewing costs. Meanwhile, the company has a "unique opportunity" to be a transformation expert for brands. Sadoun hailed Publicis Groupe as "the only company in the world that has the bench of talent to both re-imagine the way the new generation of consumers experience brands and, at the same time, transform our clients business to make sure those brands experiences are a reality. "This creates a unique opportunity to stand at the same time as a marketing transformation expert and digital business transformation expert to deliver this in an interconnected way," Sadoun added.